Accra, May 9, GNA – The discovery of oil in commercial quantities from the jubilee field has swayed government attention from the country’s rich tourism sector, says Dr Kobby Mensah, Lecturer at the University of Ghana Business School. The move has led to the halting of activities earmarked to develop and promote Ghana’s historic sites and artifacts that would earn the country the needed foreign exchange for development. 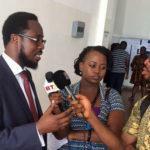 Dr Mensah made this known to the Ghana News Agency on the sidelines of the second edition of the Tourism Day of the University of Ghana Business School on Friday dubbed: “Destination Legon exhibition”. 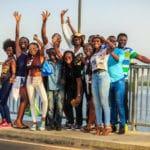 “Destination Legon,” is an annual tourism event organised by students offering tourism and marketing course at first and second degree levels, who are required to adopt tourism potential areas of towns and villages and demonstrate how they could develop and market them as tourism destinations. Dr Mensah said after Ghana discovered oil, government attention has been shifted from the tourism sector, which before finding oil, was given the needed push to attract tourists and earn foreign exchange for the country. “We were talking about establishing tourism development bank to prop up the tourism sector but now because we have oil nobody seems to be talking about it but the sector needs some financial set up that can push it,” he said. The lecturer said the country’s tourism areas lacked what he called “repetitive package bid,” that would constantly attract people to always want to go back to tourist’s destinations; the Tourism ministry ought to rekindle people’s interest in the sector. Dr Bedman Narteh, the Head of Marketing at the Business School, said it appears that with the discovery of oil the tourism industry had been forgotten. Exhibitors showcased tourist sites and artifacts from areas such as Abokobi and Ada beaches, Royal Senchi in the Eastern region, Osu, James Town and Ave Maria hotel – historically built for the queen of England.